Most of this month’s report was researched, edited, and written by Rayna St, Jillian C. York, and Danielle Kehl. The Middle East and North Africa was shaken this past month by a series of events initially triggered by a YouTube video. The video, a trailer for a low-quality film, ‘The Innocence of Muslims,’ depicted the Prophet Mohammed as a philanderer, angering Muslims the world over. While protests rocked numerous cities, it was the death of the U.S. Ambassador to Libya, Christopher Stevens, that turned the story into a debate about online free speech. Following the tragedy, YouTube blocked the video in Libya and Egypt without court orders, and in other countries in the region—including Saudi Arabia—following the receipt of a legal order. The issue was addressed in the September 21 edition of the Netizen Report as well as in analysis from Jillian York for Global Voices Advocacy. Though the video is now reported unblocked in Libya and Egypt, its impact continues to be felt. Several individuals have been arrested in Egypt on blasphemy charges (some directly related to the video, others only tangentially), and members of Egypt’s constitutional committee are seeking to prohibit blasphemy. Throughout the region, a debate about whether hate speech and blasphemy should be protected speech continues. The biggest censorship story this month was the global and regional reactions to the ‘Innocence of Muslims’ video. Created by an Egyptian Copt based in the United States, the video was shown on Egyptian TV, sparking protests that later spread to other countries. Protests against the video in Benghazi, Libya were initially linked to the killing of U.S. Ambassador Christopher Stevens. Later reports suggested that the attack on the embassy had been planned earlier. Nevertheless, the anger sparked by the video caused a spate of censorship across the region. 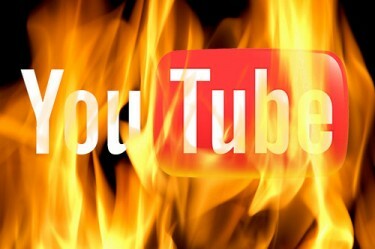 YouTube itself blocked the video in Egypt and Libya, while the government of Saudi Arabia issued a court order to Google to have the video blocked. Other governments outside the region (Indonesia, India, and Malaysia among them) did the same. Meanwhile, in Iran, Gmail and (on some ISPs) Google Search were blocked in retaliation (YouTube had been blocked for some time already). Gmail and Google were later unblocked following complaints from Iranian parliamentarians. In neighboring Turkey, where Internet censorship is de rigueur, the country’s Transportation, Maritime and Communication Ministry denied reports that they were planning to create a mechanism potentially allowing them to block access to social sites like Facebook and Twitter in the event of threats to public safety. Officials in Bahrain restricted Web access to the United Nations Human Rights Council (UNHRC) after the UN commission included Bahrain in a list of 16 governments that frequently intimidate and threaten activists. One such critic of the government who received threats for attending the UNHRC meeting was Mohamed Al-Maskati, president of Bahrain Youth Society for Human Rights. Reporters Without Borders (RSF) is starting to provide technical assistance to news websites which are often targeted by cyber attacks and government blocking by creating mirror sites that will be regularly and automatically updated. RSF will begin with Chechen magazine Dosh and the Sri Lankan online newspaper Lanka e-News, which will be accessible at http://dosh.rsf.org and http://lankaenews.rsf.org, respectively. Wikileaks added to its “Syria Files” in September with a release of emails from the Syrian Ministry of Foreign Affairs and Presidential Affairs. Wikileaks began collecting documents from the war-ridden Middle East nation in July, and now includes nearly 700,000 emails from over 680 domains. At a hearing at the British Houses of Parliament on Sept 12, Bahraini human rights activist Maryam AlKhawaja called on MPs to put pressure on Bahrain’s government to implement reforms and set free all political prisoners. Freedom of expression watchdog Index on Censorship joins urged Bahrain to accept UN recommendations. Maryam AlKhawaja and Saudi female driving activist Manal Al-Sharif were both at the San Francisco Freedom Forum, and Yemeni Nobel Prize for Peace holder Tawakkol Karman spoke last week at the World Forum on Democracy. Amnesty International has called on Iran to release prisoner of conscience Zhila Bani-Yaghoub, the editor of the website ‘Focus on Iranian women’. Sentenced to 1 year in jail on September 2, Bani-Yaghoub was also banned from media and journalism for 30 years. Nawaat.org, a prominent Tunisian independent media outlet, found its Facebook page hacked and its Twitter account threatened. Nawaat considered this action as intimidation by an unknown party. Two religious figures reportedly took stances on social media and online communication. The Saudi Grand Mufti said Twitter users are fools and Egypt’s Muslim Brotherhood Supreme Guide declared [ar] that the Internet was created by Westerners to propagate sins. Six activists in Oman were sentenced for slander because they posted comments on the Internet that the government deemed “abusive and provocative.” After criticizing the government for failing to disclose the names of government officials under investigation for corruption, the men received jail terms ranging from one year to eighteen months and fines of 1,000 rial (approximately USD 2,600) each for violating information technology regulations and making comments directed at Sultan Qaboos, the ruler of Oman. An Egyptian activist accused of posting a trailer for ‘Innocence of Muslims’ on Facebook was arrested on September 13 and detained. Twenty-five year old Alber Saber, who has denied all charges against him, stands accused of “insulting religion” and allegedly posting photos, video, audio, and text calling for atheism and mocking both the Muslim and Christian faiths. Several human rights groups have condemned the arrest, claiming that he has been tortured by police, and supporters have set up a #FreeAlber Facebook page [En, Ar] in protest. Saber has been referred to a misdemeanor court and will face trial for defamation. Eight rights groups, including the Egyptian Initiative for Personal Rights, have filed a complaint with the prosecutor in Alber’s case. Meanwhile, an Egyptian court found Bishoy Kamil Kamel, a Christian school teacher, guilty of blasphemy and defamation. Kamel was sentenced to six years in prison for insulting the Prophet Mohammed, Egypt’s president, and one of the plaintiff lawyers. Yet another teacher, Nevine Gad, had charges of insulting the Prophet during a history lesson against her dropped due to conflicting accounts of the incident, but has been put on temporary leave from the school where she teaches. Ahmed Mansoor, a prominent blogger from the United Arab Emirates who was previously arrested for pro-democracy activism, claims he was beaten by an unidentified stranger in mid-September, the second such attack on him. Mansoor has been active in speaking out against the recent UAE crackdown on political activists. Syrian blogger Abdel Karim al-Oqda, who reported from the Syrian city of Hama under the alias Abu Hassan, was burned to death after forces from Assad’s regime set his house on fire, according to another activist. His death is the latest in a series of violent acts against journalists in Syria. Among the dozens of threatened voices throughout the region, we are keeping an eye on the case of detained Syrian blogger and Creative Commons representative Bassel Safadi, whose campaign was recently given a boost by Amnesty International, as well as Syrian blogger Hussein Ghrer missing since February 15, 2012. Bahraini human rights activist Nabeel Rajab, who recently went on hunger strike after being denied the opportunity to attend his mother’s funeral, remains imprisoned and under threat. The National, one of UAE’s main news outlets, published a detailed account of online trafficking of Syrian women. The author describes well-organized commerce through e-forums of refugee women and girls in Jordan. The German Foreign Minister has publicly taken a stand for tighter control of European Union surveillance technology exports. No legal regulations have been implemented. French-language Slate Afrique publishes a detailed account on various surveillance approaches of the current Tunisian ruling majority party, Ennahda. According to the author, these intimidation and surveillance methods are the same as those used by former president Ben Ali. An Israeli company has announced that it produces anti-spyware tools for mobile devices, sold for USD 10 per month per phone. The disabling software is claimed to be efficient against Gamma International’s FinSpy, a technology from the United Kingdom that was sold to the former Egyptian regime as well as to other governments. Security experts believe Iran and North Korea have joined forces in fighting malware such as Stuxnet. Saudi Arabia’s national oil and gas company Saudi Aramco confirmed having been the victim of a cyberattack. It has been investigating the origins of the virus “Shamoon” which compromised many of the company’s workstations. Last month, pro-Syrian regime attackers succeeded in hijacking Al-Jazeera’s SMS mobile news service. During the attack, the service sent fake news messages announcing that an assassination attempt had been made on Qatar's prime minister. The Facebook group Cyber Arabs highlights [ar] a new malware for Skype and other instant messaging services targeting Syrian activists. An Iranian official announced that the Islamic Republic’s infrastructure was targeted by cyber attackers disrupting the Iranian Internet. According to the official, the Iran is a victim of similar attacks on an everyday basis. The Egypt-based Arabic Network for Human Rights Information (ANHRI) argued that YouTube’s selective censorship was even more harmful than that of United Nations General Secretary Ban Ki-Moon who said the video’s creator “abused his right to freedom of expression”. Foreign Ministers from the 57-nation Organization of Islamic Cooperation (OIC) have called on freedom of expression to be used with “responsibility” and global legislation to be implemented in order to prevent future acts of violence and hatred. The Guardian reports that the UK has blocked exports of surveillance software to Egypt. This decision targets FinFisher, a spyware developed by Gamma International. Yemeni journalists rejected a media bill that would set rules for all types of media in the country. Among the most denounced paragraphs were Article 21 (potentially imposing an official patronage on broadcast content), and Article 44 (stipulating “news outlets are banned from broadcasting seditious, provocative, doctrinal or racial speeches”). King Abdullah II bin Al-Hussein of Jordan endorsed controversial media law amendments that have generated concern and opposition from many journalists, media groups, and activists. The law would require all electronic publications that disseminate news to obtain a license and make publishers liable for any content posted. Reports have emerged of Iran’s intentions to establish a national internet. Officials have justified the move as a wish to limit Western influence on the Islamic Republic. According to the Washington Post, Iran has already laid the technical foundations. This idea represents “one more step towards fragmented access of information” and would allow easier censorship and surveillance of potential opponents. Reports attested Google Search and Gmail were filtered and blocked in the country on September 24, allegedly in response to the “Innocence of Muslims” video. On Al Jazeera, Jillian York considered how viable the so-called “halal” internet would be. Gulf News reports that an online dialogue continues between citizens and officials in Saudi Arabia. ‘Kingdom Dialogue’ allows to Saudi citizens to take up various issues and concerns with officials. A group of Omani citizens have come together in a project to draft an Omani Ethics Code for Electronic Publishing. They have begun an outreach campaign inviting input from different people. TEDxSanaa is an independent event to be held in the Yemen’s capital, Sanaa. For updates, you can follow their official website and Twitter account [en, ar]. SHARE Beirut was held between October 5 and October 8 in the Lebanese capital. It was a free public technology and culture event. Live updates were published on its Twitter account and under the hashtag #ShareBeirut [ar, en, fr].